I would to share my experience with one of the Mythic and Awesome Hair oil in the world :) Literally it is so effective and popular is this product that three bottles are sold every minute worldwide! Thank you so much to Wonderbox and L'Oréal for being kind enough to send me a bottle for reviewing purpose! On top of that what make it more awesome I was given with the Special Couture Edition design by renown couture fashion designer Dilek Hanif………… OMG SCREAM!! Women around the world Ancient Egypt to Chinese, Japanese and Indian civilizations, have turned to precious oils for beauty rituals as well as medicinal and aromatherapy purposes. Inspired by this ancestral beauty ritual, L’Oréal Professionnel reinvents the tradition of beauty oils with its latest hair solution. Today, the wonders of pure Argan Oil have spread around the world. Many major cosmetic brands now include some Argan Oil in their products including the leading beauty brand manufacture L'Oréal. 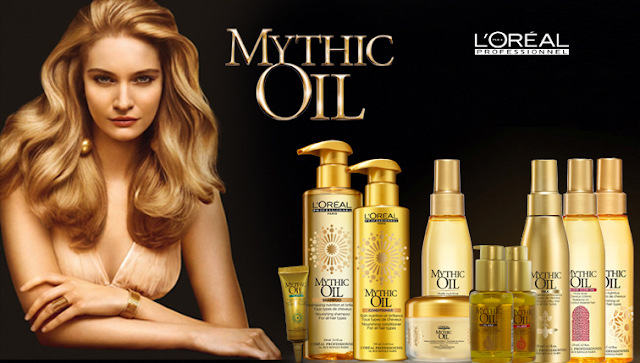 Using the finest oils to create special customised blends and fusing them with its technical haircare expertise, L’Oréal Professionnel introduces the amazing Mythic Oil, a range of four tailor-made beauty oils, each one targeted for different hair needs so that women can discover the mystic secret to beautiful hair. Weee! Anyone wants to share and experience this? What makes Mythic Oil so special is that the main ingredient is Argan oil and Cotton Seed Oil. 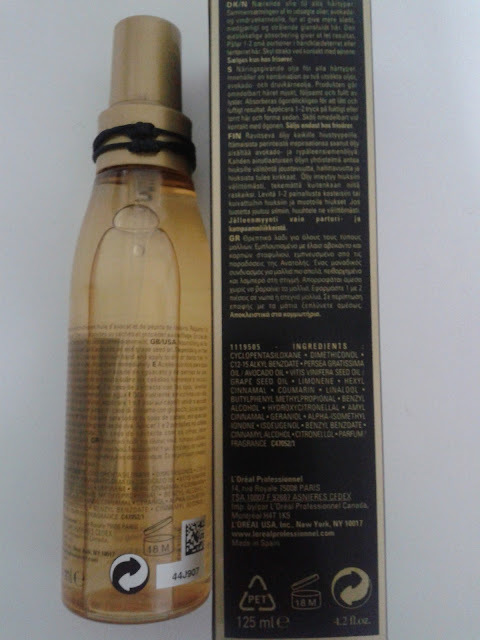 The Special Edition L'Oréal Professionnel Special Edition Mythic Oil by Dilek Hanif that I received contained avocado oil and grape seed oil as well. Since each one of use is unique plus to cater to all haircare needs, L'Oréal Professionnel introduce three customised precious blends of Mythic Oil as in the picture below. 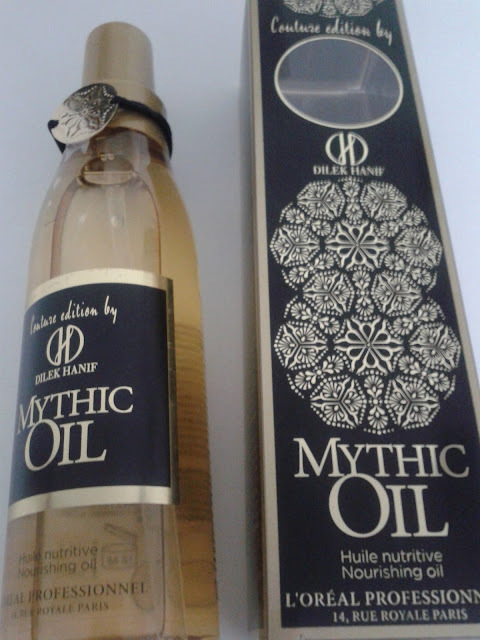 Which are MYTHIC OIL MILK, MYTHIC OIL RICH OIL and MYTHIC OIL COLOUR GLOW OIL. I love that it is non-greasy and texture is not very thick. I also like that they picked the pump dispenser instead of the normal open cap kind of thing. This will avoid spillage since obviously the main ingredient is oil. I love it so much that I have no complain over this products.Go get yours now.. you can also try other products in this Mythic Range and we can all enjoy a nice silky and shinier hair. 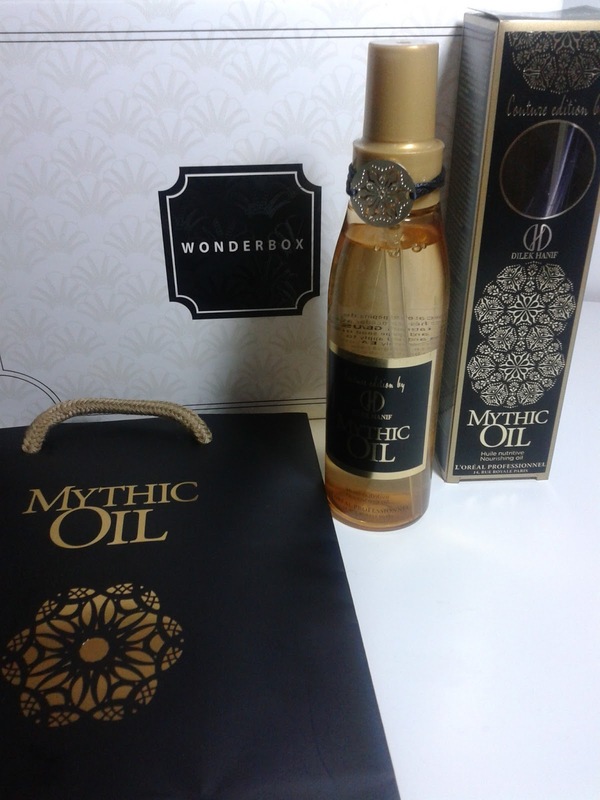 Mythic Oil is available now at RM75 in all L’OréalProfessionnel salons nationwide. you are making me anxiently waiting for le good stuff!! nice review by the way! i love the packaging!! this looks really interesting to me! oh yaya.. the pleasant fragrance is also one of the main point.